New Price! Easy main level living in this spacious home with spectacular back yard. Welcoming wide entry foyer with coat closet, spacious living room with fireplace, dining room, white kitchen with new quartz counters and stainless steel appliances, rear screened porch, 3 large bedrooms and 2 full baths on the main plus a lower level rec room with 4th bedroom, 2nd fireplace, 3rd full bath, laundry and separate entrance. Fixed stairs to the unfinished attic offer loads of additional possibilities. 2-car attached garage (tandem spaces) plus loads of additional storage space. 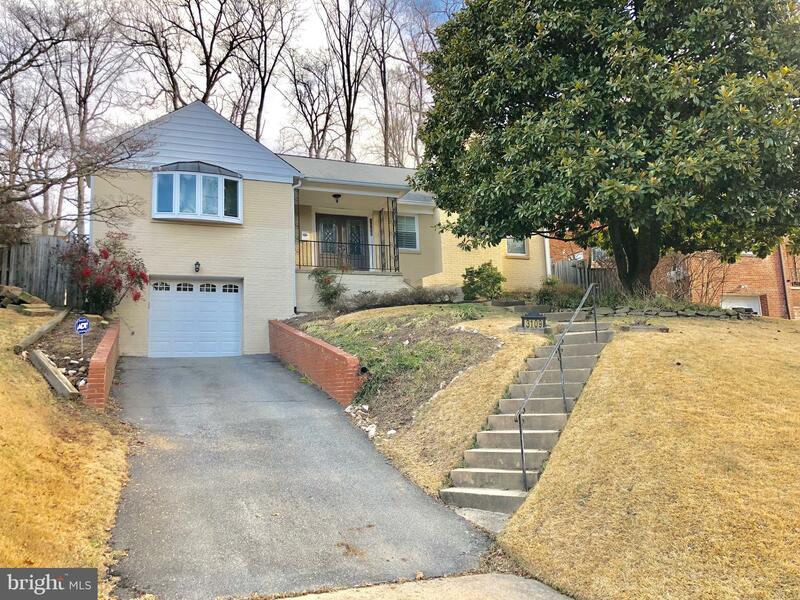 Close to Rock Creek, Silver Spring, downtown DC & Bethesda. Desirable Lafayette/Deal/Wilson school system. © 2019 Bright MLS. All rights reserved. Information Deemed Reliable, but Not Guaranteed. Listing information is from various brokers who participate in IDX and not all listings may be visible on the site. The property information being provided is for consumers personal, non-commercial use and may not be used for any purpose other than to identify prospective properties consumers may be interested in purchasing. Listing courtesy of Long & Foster Real Estate, Inc.. Data last updated on Wednesday, April 24th, 2019 02:31:03 AM.